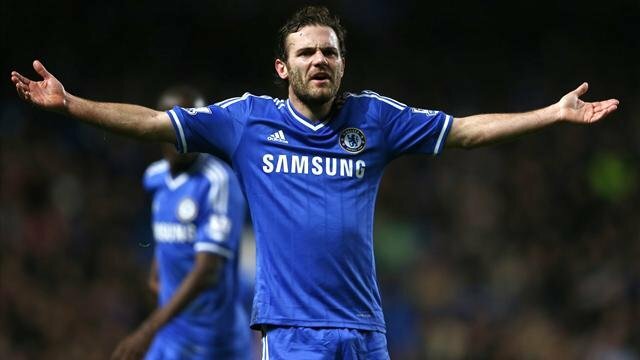 Juan Mata has not played for Chelsea since his infamous outburst after being substituted against Southampton on New Year’s Day. He has been on the bench, but Jose Mourinho has been reluctant to bring him on. Such tension usually results in the player being sold and it remains a distinct possibility with 10 days left in the transfer window. Manchester United have been mooted as a possible destination for Mata. It could well become a reality after transfer rumours have spread about a possible £40 million bid from United. These transfer rumours have been so intense that they have been reported by every major tabloid in the UK. Signed from Valencia for £24 million, Mata quickly endeared himself to Chelsea fans with consistent performances over the last two years. Yet, he has failed to win over Mourinho and it is not clear whether it is due to personal or professional reasons. The form of Hazard, Willian, and Oscar makes it doubly difficult for the Spaniard to get back into the team. Still just 25, Mata is at the time in his career where he will want to play regularly. The amicable solution at this moment is a sale. But why should United be the destination for Mata? After all, United refused to sell Wayne Rooney – despite the player being heavily interested – in the summer claiming that they would not strengthen a direct rival. 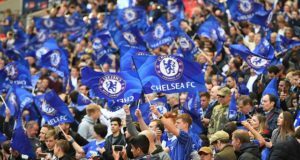 Of course, United are not a direct rival to Chelsea this campaign after falling 12 points behind the blues, but that does not mean to say that they will not be in the future. Selling a player like Mata is not only going to strengthen United directly, but also indirectly as well. Right now, top players may be sceptical about a move to Old Trafford, but if Mata were to move there, he would provide the necessary pulling power (not that United lack any in the first place) to bring other top players as well. And £40 million for the Spaniard in this current transfer market looks absurd considering that Gareth Bale cost more than double that figure. If a player, who is untested at the top level, goes for such a figure, then a World Cup and Champions League winner should be closer to that mark. Either way, Chelsea should adopt United’s stance and resist any lure to sell him. Easier said than done. 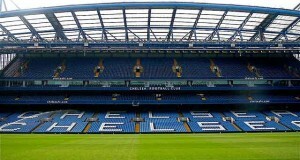 Chelsea’s finances are strong generally, but a £40M cash injection right now would offset any worries about FFP for the time being. 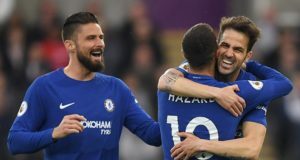 Chelsea are unlikely to get more in the summer, as the big money will go on players who shine at the world cup, where Mata may not get a large role. The player certainly wants to play, and while he’s not the type to moan to the press, he might have a chat with Mourinho and ask to be allowed to go. Also, Chelsea are still after Rooney. But after last summer Man U probably feel they’d sell to anyone but Chelsea. Thawing the relationship is important, which is probably why Mourinho has been tossing United a kind word from time to time rather than antagonising. So avoiding strengthening an opponent matters, but its not the only factor. united wouldnt spend 40 mill for ronaldo never mind mata, thats not to say they shouldnt as mata is class & would fit into united perfectly. United should consider selling rooney to chelsea if they will sell mata & luiz to them. what planet are you on mate? luiz as well as mata? maybe we should throw in cech, oscar and hazard as well! wake up and smell the coffee. rooney WILL leave next summer as he doesn’t want to play in the thursday cup. manure WILL offload him for around £10 million to stop him jumping a (sinking) ship for free in 2015. simple!!! I think Chelsea wouldn’t want their best creative player of last season to red devils .That’s why they are asking to much money.If it by a psg,Munich etc they surely sell much lesser value in compare the amount they asking from red devils. 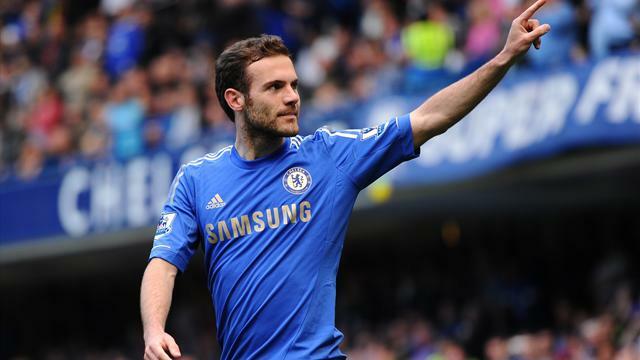 Mou shud pls let mata go if he dosen t wnt 2 play him, so he cn get a play @ de wld cup….i love mata so much. N i wudn t wnt 2 c him leave chelsea. Jose told the listening pubilic that the advantage of giving Lukaku out on loan to Everton is that whereas he could not play against Chelsae, he was helping to make other teams lose points. I think it is for the same reason that Mata be sold to Man U now that we no longer have any more engagement in the EPL with Man U this season unlike Arsenal, Man city &Liverpool.The trf fee of £40m will be more useful for the purchase of a good striker when added to whatever amount BA is sold . Mouri if u sell mata,dat is a dreadful mistake u hav eva made,if dy said oscar is beter dan mata,were was him when mata took 2 season best player?chelsea fans dnt support mouri in sellin mata o,dats my own. mata can leave perhaps it myt frce rooney awt f man utd..
Pls jose shud loan mata dan sellin him,evri body lyks juan mata includin utd fans. Plz mou let loan him. PLZ MOU DNT SELL MATA I LOVE HIM LIKE ORDERZ MIDFDERZ. I think its a horrific idea to sell mata! Hes been our beat player 2 years running. The emphasis should be on mourinho to stop being pig headed and start playing what could easily ve a future chelsea icon. I love jose as much as the next fan but hes got this horribly wrong. Oscar, mata and hazard is the best 3 man midfield in the premiership FACT!!! mourinho ve already made his point that mata should come out and tell him he wants to join man united which he know is not going to happen. How can mata join united when they are not sure of champions league next season and he is cup tied.I believe Mata is Wise.